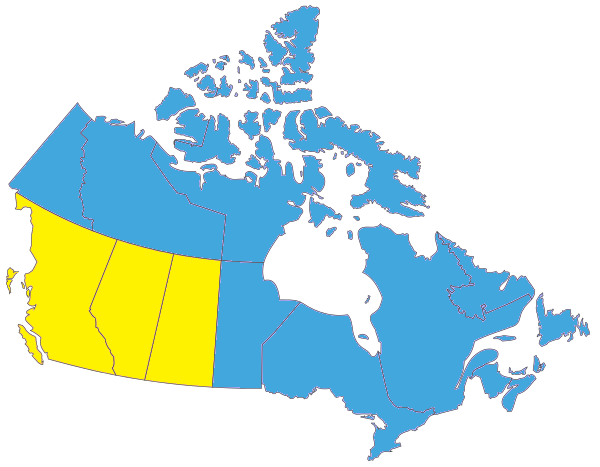 Although over the years we've been in more than what's shown I've only included those provinces that we've been in with the Festiva.We hope to increase the yellow bits on both maps during 2015! 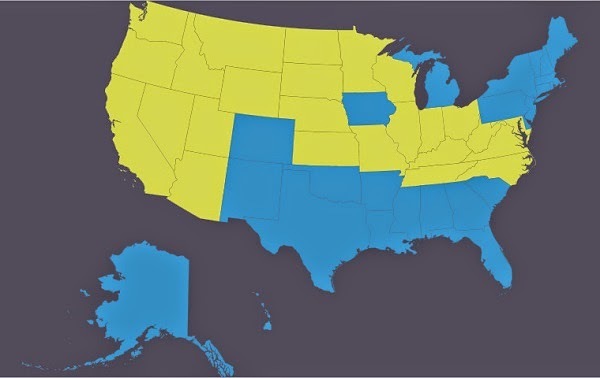 The states marked in yellow are the ones we've driven through since September of 2011 on our "Festiva Madness" and "Festiva in the Park" road trips. Final tally is 25 states plus Washington DC as of November 15, 2014. Those two road trips totaled over 18,000km / 11,000 miles spread over 29 days. Follow the links to the first post in each of those trips.